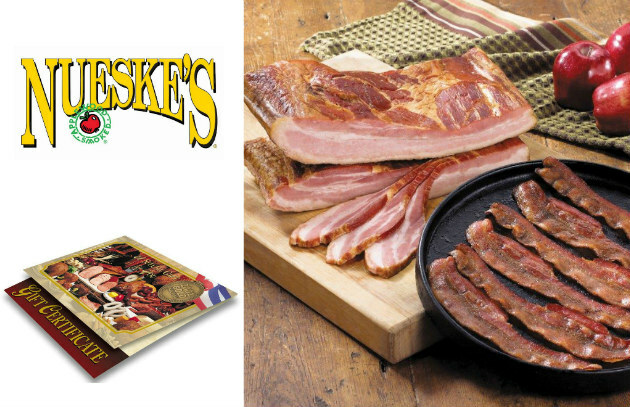 Steven considers Nueske’s a perfect brand for many recipes calling for bacon. Why? It’s still made the traditional way, cured using a family recipe and slow smoked over applewood, since 1933. To celebrate National Pork Month, Nueske’s is giving away three $100 gift certificates, so you can order all the smoked bacon, ham, sausage, ribs, or chops you want. Enter below for a chance to be one of the three lucky winners! As for how to use it, check out our blog post on foods you can grill wrapped in bacon.